Your wallet just got smarter! The days of lugging around a wallet are quickly making the move into history books. Since the introduction of mobile technology and Internet of Things (IoT), we find ourselves shifting our focus from how much can fit in our wallet, to how little we can carry around. Thriving on the simple concept that less is more, mobile apps are starting to carry the weight of the world. Not only is technology making your wallet lighter, it’s making it smarter through the use of mobile apps. In the banking industry alone, mobile apps are increasing customer satisfaction, convenience and engagement by offering the freedom to bank on-the-go; whenever, wherever. Apps keep us connected with family and friends and offer the simplicity of using one device to store everything that gets us through our day with ease. As we keep a close eye on technology enhancements, we eagerly await the next latest and greatest app that will help make our life easier! One of the latest life changers in the app world is the digital wallet. Becoming increasingly popular, the introduction of “pay” apps has wallets all over the world being left at home and has us reaching for our phone to make purchases. Digital wallets can be loaded with all major credit and debit cards and the three biggest names in the mobile wallet arena making this happen are Apple Pay, Android Pay and Samsung Pay. 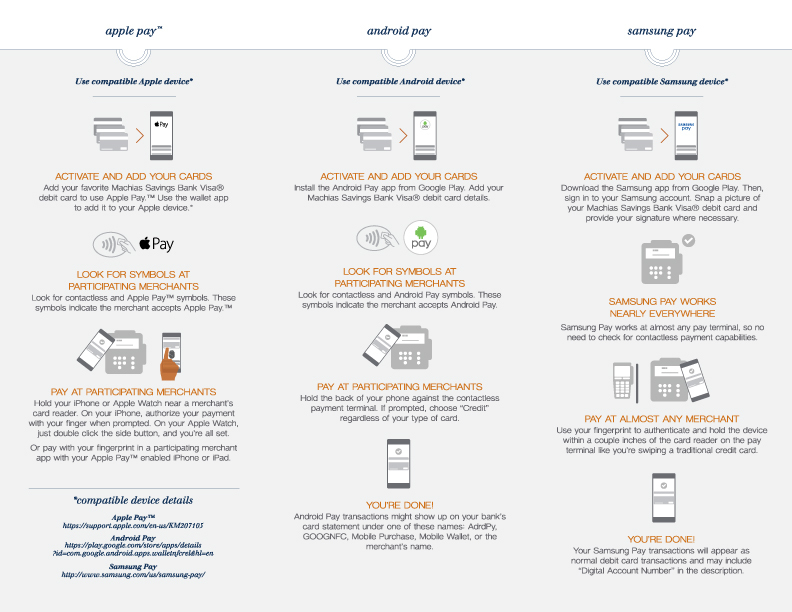 Apple Pay and Samsung Pay work with specific phones from each respective brand while Android Pay is widely available across several different phone brands, as long as your phone runs on the Android operating system. Now, as some may be hesitant to change their wallet by going digital, these mobile apps build our confidence by using enhanced security features powered by biometric encryption that make our purchases private and secure. So you may be thinking, here come the Jetsons…we’re not quite there yet! However, the day has come where we can say that an app gives you back time- by making purchases using a “pay” app, you decrease the amount of time spent in the checkout line and increase your time spent doing what you love! 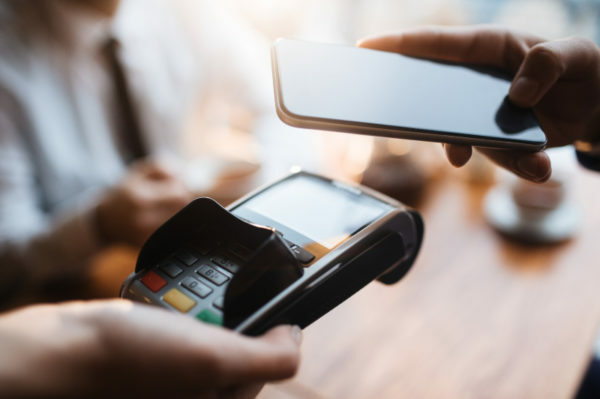 As we continue to enjoy the increasing functionality of our mobile devices, businesses are getting on board by allowing you to make purchases with the simple tap or swipe of your device. Making the task of shopping more enjoyable! Digital wallets are just the tip of what’s to come as we blast off into the future. Create your mobile wallet by joining the Machias Savings Bank family and discover the new way to pay using your mobile device. ©2017 Machias Savings Bank. Member FDIC. This article is not intended to provide legal or financial advice.